New York City independent label started in the waning days of 1947 by Ahmet Ertegun, the son of the former Turkish Diplomat to the United States, and Herb Abramson, former producer with National Records and founder (soon bought out) of Jubilee Records. The company set out to record both jazz and modern “race records” and struggled for its first year but soon their insistence on high quality recordings (aided immeasurably by engineer Tom Dowd), thoroughly rehearsed performances and skilled session musicians, as well as an innate feel for the musical styles they were recording, soon set them apart from much of their competition. By the early 50’s they were among the top independent labels in the country and thanks largely to writer/producer/arranger Jesse Stone they were vital in shaping the rock sounds that followed. When Abramson, who’d studied as a dentist, was called into the Armed Services to practice his given trade overseas in 1953, his spot in the company was taken by former Billboard writer, Jerry Wexler. The company soon added Ertegun’s older brother Neshui to handle their jazz artists and oversee their LP department, while Abramson’s wife Miriam ran the office and de facto legal aspects with an iron fist. Their stable was incredibly deep and consisted almost entirely of black artists until the signing of Bobby Darin in 1958 to their Atco subsidiary, initially run by Abramson after his return from the Armed Forces. When Abramson left the company at the end of 1958 his ex-wife bought his shares out and became a full partner. 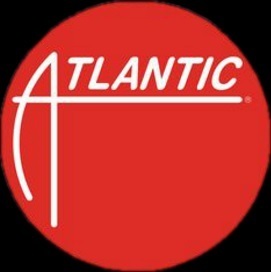 Atlantic, more than most indies of the 50’s, began to actively court white audiences with heavy handed pop-oriented production touches on many of their best artist’s work by the mid-50’s however, costing them some of their hard earned reputation as believers in musical authenticity which they’d made their name on for years. This crucial misjudging of the marketplace led to the company slipping a bit in prestige, saved mainly by the hiring of songwriters Jerry Leiber & Mike Stoller as the first independent production team in music. Their work with The Coasters and the reconstituted Drifters kept Atlantic on course into the early 60’s by which time the company began to act more as a major label which negotiated distribution deals with smaller regional independents (most notably Stax out of Memphis) which provided Atlantic with their most acclaimed releases of the era, though Atlantic had virtually no creative input whatsoever in these records. By the mid-60’s Ertegun abandoned black rock entirely and focused on courting white acts and basking in their growing cultural aura, while Wexler continued overseeing the majority of black artists, most notably Aretha Franklin, the label’s greatest artist in its storied history. By that time they’d been sold to Warner Brothers, though Ertegun remained as President and Wexler as a salaried producer, and they still operated as basically an independent label under corporate ownership. Yet their singular identity ended by the early 1970’s as they became largely an outlet for British groups seeking the cache of the label’s long history with black rock, which ironically was all but over. Atlantic is the only independent label of rock’s first era to remain fully active into the 21st Century.